Jesse Fink was a co-founder and chief operating officer of the internet travel site Priceline when it went public in 1999. The offering made him instantly wealthy, and he retired almost immediately. He and his wife, Betsy, who had met in forestry school, took their bonanza and began investing not in other high-flying tech companies but in the earth: first a vineyard on Long Island, then a peach orchard in Colorado and eventually land in Wilton, Conn., that became Millstone Farm. The Finks are part of a broader trend of investing in sustainable farming practices, a movement that offers a range of investment levels, from debt and equity ventures that require smaller contributions to farms and land that cost millions of dollars. And Amazon’s acquisition of Whole Foods Market, which is expected to increase online purchases of organic food by consumers, could draw more interest from investors. With such promise come numerous risks. Land and farms are not liquid investments. Climate change has made the weather less predictable, with droughts mixed in with torrential rains, and early frosts in some parts of the country countered with abnormally warm periods in other parts. Still, the broader argument for long-term growth in this sector is that people around the world are eating healthier and the demand will push up the value of sustainable agriculture. Shawn Lesser, a co-founder of Big Path Capital, an investment bank focused on impact investments, which seek social as well as financial returns, said interest in agriculture had surpassed that of clean energy and affordable housing. Amit Bouri, chief executive of the Global Impact Investing Network, a nonprofit advocacy group, said that clean energy and housing remained the largest sectors in its annual impact investor survey, but sustainable agriculture was the top area for people to increase their investments this year. “Food and agriculture have emerged as two of the most promising areas to achieve social and environmental objectives,” Mr. Bouri said. How investors put money into this field, and what they expect in return, differ as widely as a person’s preference for food. Investors looking to buy a sustainable farm should ask how willing they are to spend on their passion, said Lee P. Miller, a managing director at the Glenmede Trust Company. Ms. Fink said some items produced at Millstone Farm made money, but the overall farm did not in the nearly 12 years the family owned it. The Finks purchased the farm for $5.48 million in 2005 and sold it for $5.9 million in 2016, public records show. But the costs were not all dollars and cents. “The toughest parts were staffing, really finding the right people who believed in the mission and actually had the skills,” Ms. Fink said. 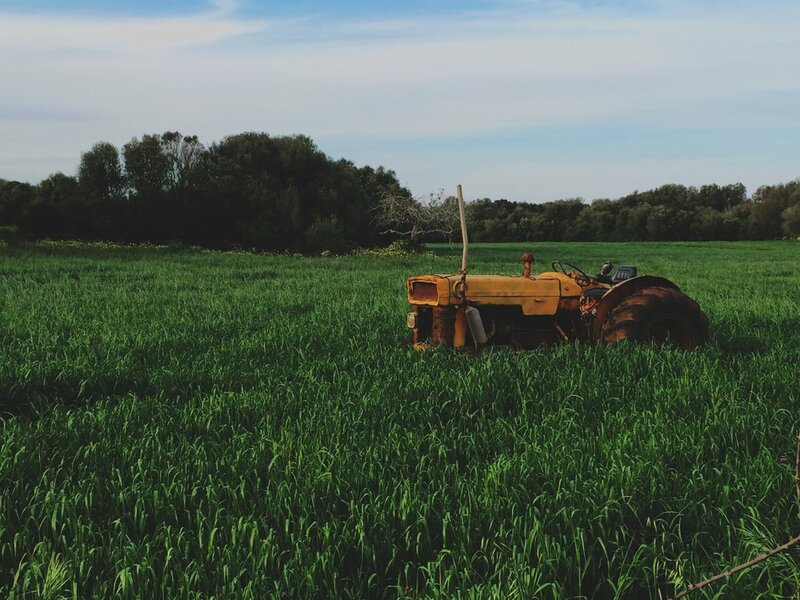 Understanding the level of capital and labor involved may prompt investors to make a smaller commitment to sustainable agriculture. They might opt instead to invest in land and lease it to farmers or invest through funds that are more broadly diversified. Ms. Miller said there was a divide between sustainable farmers who eke out a living and her clients, whom she called the passion farmers. Judy Carpenter bought the land for Lucky Clays Fresh Farm in Norwood, N.C., in 2009 but took two years to decide how to use the 505 acres. She sells farm-raised tilapia and various types of lettuce and other vegetables. Hers is a twist on sustainable agriculture: using the fish to increase the nutrients in water to grow the plants and then cleaning the water so it gets used again. To that end, she said, she added a conference center to the property to help pay for the agricultural operation. Tim Crosby, principal of the Thread Fund, a philanthropic vehicle focused on improving sustainable agriculture, had been searching to buy a farm of his own but decided to be an investor in farmland and sustainable agriculture. He said one of his more satisfying investments — buying 300 head of cattle for a farmer so he could increase his organic, grass-fed beef business — lost money. “We opened up a market faster and more cheaply than any grant” could do, he said. With the herd, the farmer was able to expand his business. And Mr. Crosby said he was able to see the value in an investment loss for tax purposes. Likewise, David E. Miller, a former banker, bought his uncle’s farm in Illinois in 2007 to serve as the basis for an investment fund called Iroquois Valley Farms. The fund’s aim was to buy farms that had been growing commercial products — soybeans, corn, wheat — and lease the land to organic farmers to revive soil that had been pumped full of pesticides and fertilizers. The fund now has $50 million in farmland investments, and has appreciated at 10 percent a year for the last decade, said Mr. Miller, the fund’s chief executive. Given the capital- and labor-intensive nature of agriculture, having a long-term plan for such investments is crucial. The Finks, both in their early 60s, sold their farm last year so they could do different things with their lives and not be bound to the land. But their time as farmers informed what they have done through their family office and family foundation. One initiative is ReFED, a nonprofit organization that aims to reduce food waste.